At the start of any tug of war game, the battle is even. But it doesn’t stay that way for long. After a back and forth, the inevitable happens — the stronger team gives the rope one last tug and send the losers toppling over, claiming their dominance. This is a game cells and viruses know well. In their version of tug of war, the virus eventually overtakes the cell and not only topples it but causes a consequence far worse than a few scraped knees. This is how post-doctoral fellow Kinjal Majumder thinks of the interaction between parvoviruses and the dividing cells it conquers. 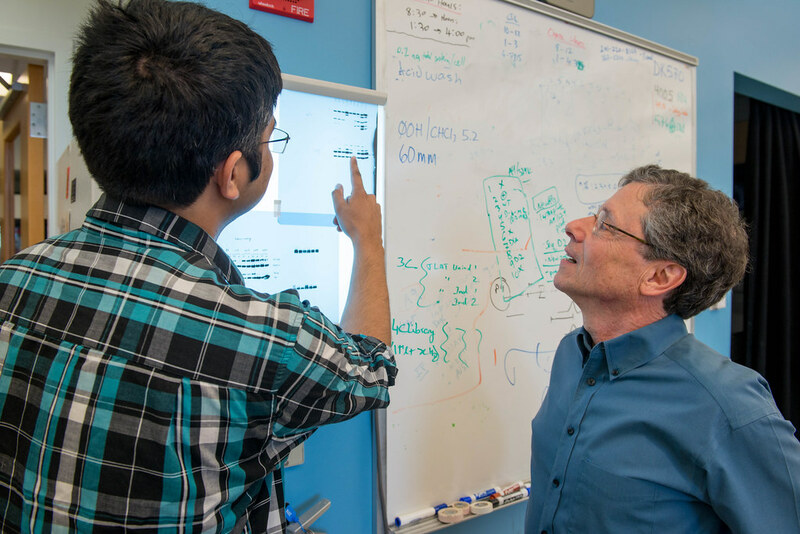 Majumder and others in the lab of David Pintel at Bond Life Sciences Center recently gained insight into how the virus achieves victory over the cell. These findings could improve human therapies and even play a role in treating cancer. Parvoviruses are some of the smallest, simplest viruses. With only two genes, it has fewer DNA base pairs than most other viruses, up to ten times smaller in some cases. The virus’ size and simplicity, however, do not make it any easier to understand. Pintel’s lab works at the “nitty gritty” level of the virus to study its basic molecular mechanism. The group understands a little about how the virus operates but is working on the why. Like a sly culprit, the virus uses its tiny nature to sneak inside the cell. The cell recognizes the presence of the virus as a foreign piece of DNA and responds to try to remove it. Once the cell responds, the virus begins replicating inside until it overtakes the cell. But, the tug of war game ends up more one-sided, so perhaps viewing the virus as a ruthless conqueror would be more accurate. Majumder’s experiments specifically focus on DNA damage response, an intrinsic function of cells. The DNA damage response constantly works to protect us from cancer by continuously repairing broken DNA to prevent harmful mutations in cells . This response uses a network of cellular pathways to monitor and provide checkpoints in the cell cycle to prevent damage from being passed on to the next generation of cells. But parvoviruses also tricks cells to begin a DNA damage response, which they use to eventually take over the host cell. In July, the lab published the latest finding from a series of papers exploring a type of these parvoviruses called minute virus of mice (MVM). The discovery began when the team found that the virus stops cells from dividing within infected cells. To do this, MVM uses the DNA damage response to stop cells from dividing, but still allows virus replication to continue. The group developed a system to examine how the virus took over the cell. Further experiments revealed the virus transcriptionally regulates cell cycle genes. The team used CRISPR to target a cellular gene that the virus must inactivate for it to replicate. Expression of this gene is required for the cell to divide. They discovered the virus actually blocks the transcription of this gene so it cannot make its protein. Blocking this function also prevents the cell from dividing. Without cell division, the virus is free to rapidly replicate inside the cell. Majumder said parvo’s manipulation of infected cell cycles is different from other viruses because it can only replicate in cells that are actively synthesizing DNA. It eventually halts the process of cell division in infected cells by dysregulating transcription factors that regulate cell cycle gene expression. That’s what makes this discovery unique. This discovery only scratches the surface. “We try to be thorough and confident of our findings, so we attack experiments from many different angles,” Majumder said. Imagine viewing an object from multiple angles under varying light conditions. The change in perspective reveals something different about it with each new look. This approach expands their understanding of parvoviruses. 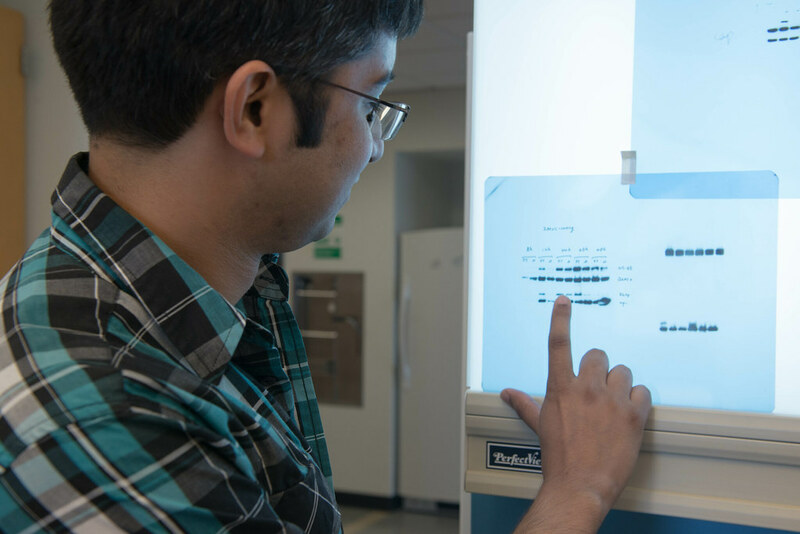 Majumder explained the lab makes use of everything from high-resolution imaging and CRISPR technology to proteomics and deep sequencing to study the tug-of-war between MVM and the DNA damage response. “The thing about being a postdoc is you kind of have to be a jack of all trades,” Majumder said about his ability to conduct the range of experiments. While parvoviruses are not a deadly threat to humans, understanding it has major implications for humans. Parvoviruses are used to develop gene therapy tools to treat disorders like muscular dystrophy and spinal muscular atrophy. The Pintel lab collaborates with labs such as the Lorson and Sarafianos lab in Bond LSC, to explore its therapeutic potential. Majumder explained the lab is also interested in understanding how the virus could improve cancer treatment. Parvo’s tendency to replicate in dividing cells links it to how cells divide uncontrollably in cancer. Majumder explained those scientists are trying to use that function of the virus to target cancer cells. This makes work in the Pintel lab that much more important. But, before the virus can fully improve humans’ conditions, researchers better grasp its capabilities. And that means more of the daily experiments within the Pintel lab. For now, scientists will play their own tug of war as they go back and forth in their findings and experiments to uncover the mystery surrounding this small, unique virus. Agriculture is a mainstay in Nepal, where Vivek Shrestha was born and raised. 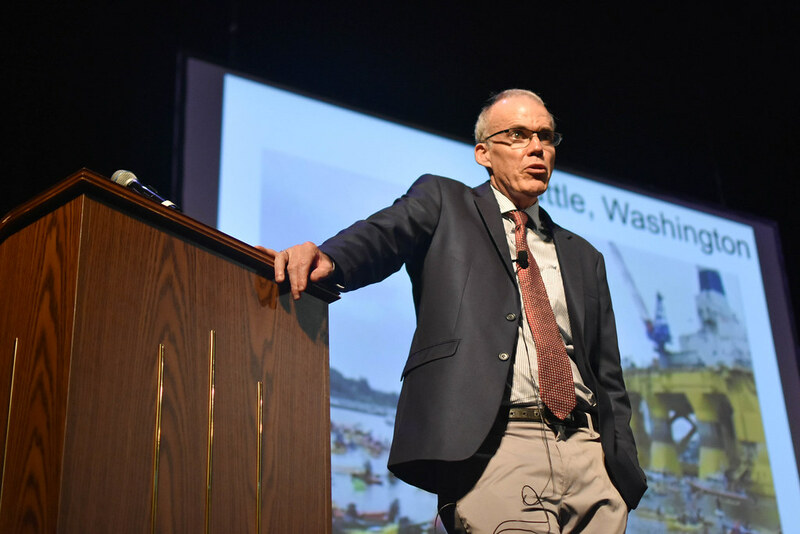 He grew up in a small farming family, but he was surprised that although a significant portion of the country was involved with agriculture, food insecurity was prevalent. Shrestha saw this need and decided to study plant sciences as an undergraduate at Tribhuvan University in Nepal. From there, he earned his master’s degree from South Dakota State University before coming to Mizzou to pursue his Ph.D. Currently, Shrestha works in Dr. Ruthie Angelovici’s lab at Bond LSC studying the trait to better grasp its genetic breakdown. Shrestha’s research helps not only with food stability in places like Nepal, but also in cutting costs for the livestock feed industry in developed nations like the United States. “Maize is a huge part of the feed industry for the United States,” Shrestha said. This dual interest makes Shrestha’s work that much more rewarding. 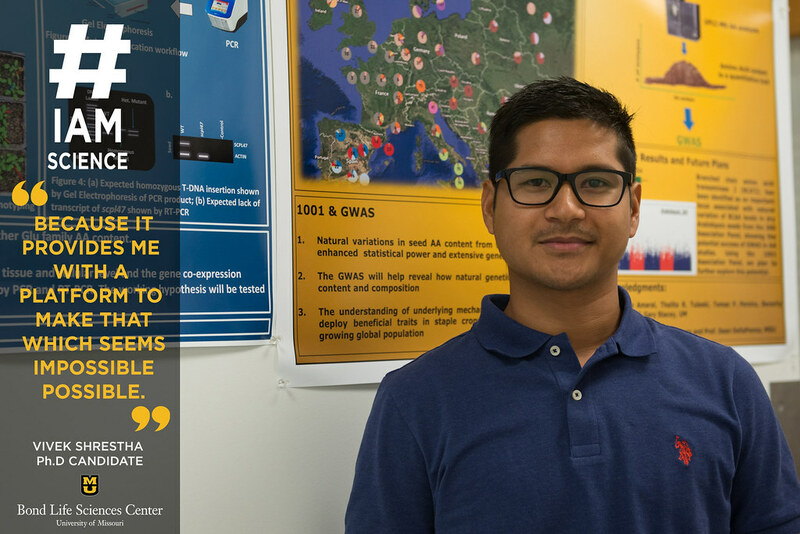 Although the amino acids are complex — having multiple cellular processes and interactions — the complexity gives Shrestha motivations and excitement in what he does. “Every day is a fresh, new day for me to explore and enjoy science,” Shrestha said. What do lasers have to do with food allergies? 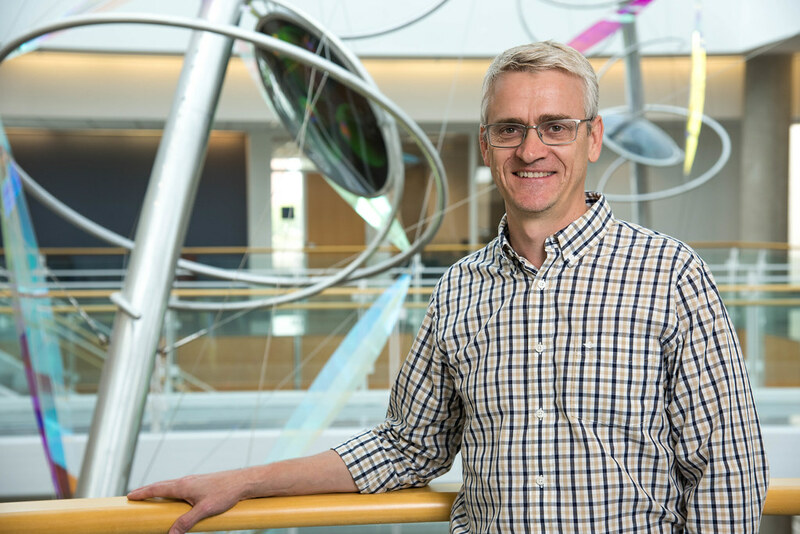 Bond LSC’s Jay Thelen was recently part of a team that looked at how short laser pulses might be used to modify peptides and proteins to make foods edible for those with specific allergies. Thelen, a biochemistry professor, joined scientists from his department, engineering and Denmark to explore this possibility. What they found was a way to modify molecules quicker and more cheaply than current chemical methods. This could potentially lower costs for specific applications in medicine, pharmacology, biotechnology and more. We don’t want to give everything away, so read the whole story from MU’s College of Engineering here. While other kids were playing with Legos and dolls, Ronnie LaCombe was exploring the world through a microscope. Alongside her cousins, LaCombe used science at an early age as both a way of learning and for entertainment. 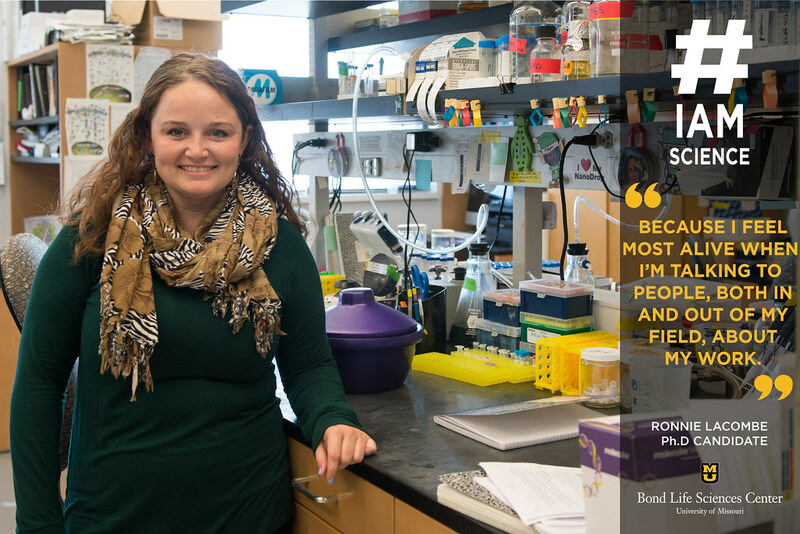 Years later she’s working in D Cornelison’s lab studying protein interactions in cells of rhabdomyoscarcoma, a form of childhood cancer. Specifically, the fifth-year biological sciences Ph.D. candidate is trying to uncover why a protein that’s typically on the outside of a cell is located inside the nucleus in this form of cancer. 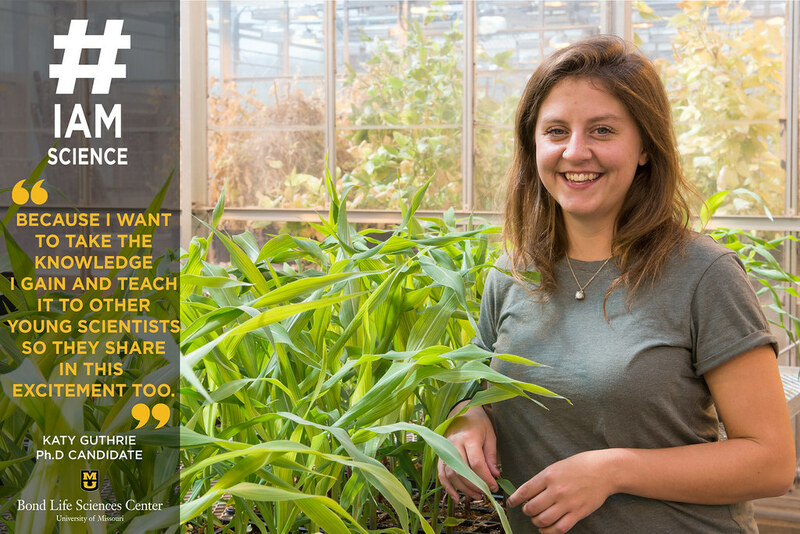 After noticing the unusual location of the protein in the cell, LaCombe and others in her lab looked into other species to see if it existed in them, too. When they saw the structure was the same in both dogs and mice they knew it meant something. Now, the lab’s test is to figure out why the protein is there and if it’s functioning the in the same way it would if it were outside of the cell. At this point, they’re still looking into how this is possible and what it means for this type of cancer. “The hope is to figure out a method that can be used in other forms of cancer,” LaCombe said. Until that solution is discovered, LaCombe is happy to put the puzzle together piece-by-piece. Finkel set out to write a book about how the quality of American marriages have declined. But while the modern marriage is nowhere near a fairy-tale ending, it’s not as doomed as Finkel predicted. In fact, Finkel found the best marriages are getting better. But he wasn’t completely wrong either; the average marriage is getting worse. 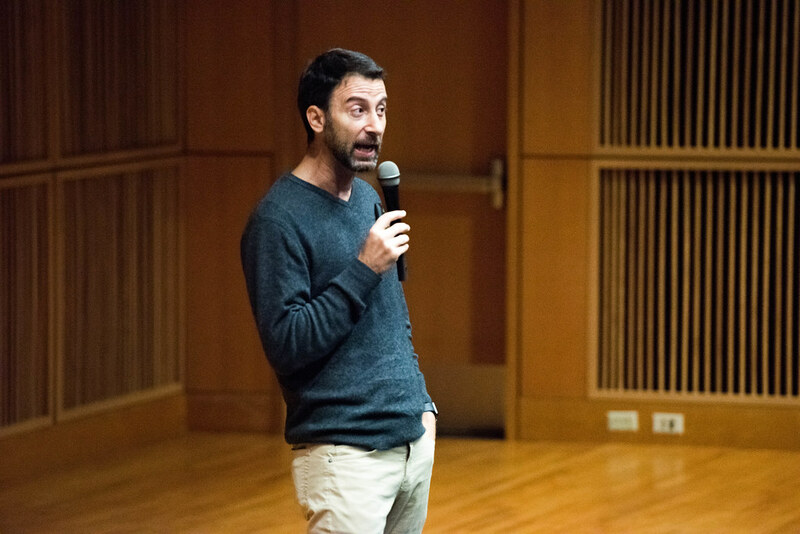 “We in America have changed marriage from something that can grow when neglected to something that requires constant care and affection, but if you get it right is pretty special,” the Northwestern psychology professor said. A better marriage has always been correlated with a higher quality of life. What’s new is the effect of marriage on an individuals life is increasing in importance. To explain this change, Finkel breaks up the evolution of marriage into three stages. The first was the pragmatic era during the preindustrial times. Life was fragile and couples married to meet basic needs to survive. Then around the 1850’s, industrialization allows young people to be economically and geographically free. Finkel said this freedom was used to seek marriages for personal fulfillment and love. “This marriage has a particular structure that had been the fantasy of people for generations,” Finkel elaborated. By the 1950’s this idea of the wife as the homemaker and husband as the breadwinner was fully established. For Finkel, this is problematic because it assumes that men and women are fundamentally different and restricts them to two different roles. Data proves both genders can be assertive and nurturing. People begin to revolt against this idea around the 1960’s. This is the third and current stage of marriage. Finkel calls it the expressive model of marriage. Now, in addition to love and personal fulfillment, people want a spouse who will help them grow. For Finkel, these stages are mirror Maslow’s hierarchy of needs. At the base of the pyramid are basic needs then the psychological needs of love and belonging are positioned in the middle. At the top of the pyramid are self-fulfillment needs, which is what he views American couples need in a marriage today. Finkel continued that such lofty expectations from a marriage are hard to achieve. Thus, the all-or-nothing state. So how can we make our marriage meet these higher demands? The author laid out three options. Going All In: This option involves going on date nights, but not just going on specific types of date nights. A study revealed while going on comfortable dates and exciting dates increase the quality of the relationships, only exciting dates increase sexual desire. Love Hacking: This technique doesn’t involve making a relationship better, but is about changing how you think about a relationship in a more constructive way. Finkel said this is one that doesn’t take much time and doesn’t need both couples. One way to do this, Finkel explained, is by writing about your fights from a third party perspective. A study that asked participants to do this showed that marriage quality stopped declining and the individual reported feeling less angry. Recalibrating: This technique involves lowering your expectations. Floyd elaborated by speaking explaining that people are relying more on their spouse to satisfy theirto how marriage has taken on more of individuals’ social social,, emotional and psychological needs. Research shows that people who have more diversified social networks are happier than those who don’t. “Race matters, even in marriage,” Charlandra Bryant said to open her talk on the marital functions of African American couples. 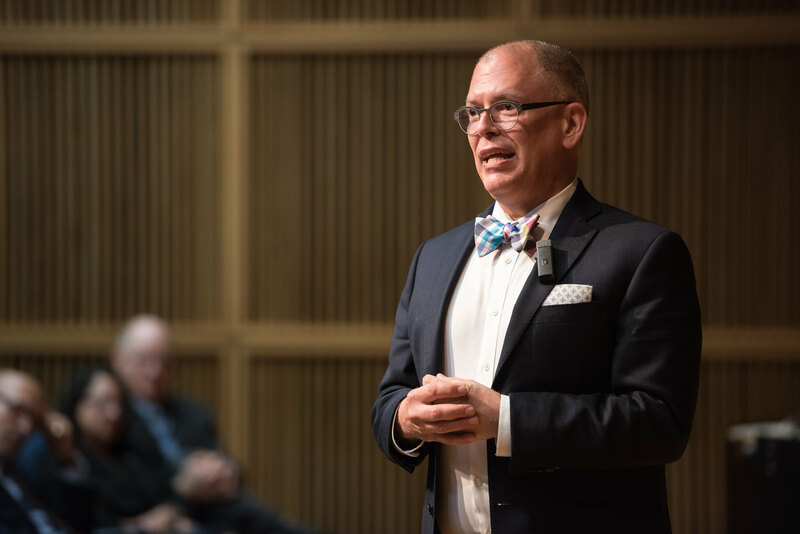 Bryant asked the crowd that gathered for the Annual Life Sciences & Society Program Symposium on Saturday, October 7, to name successful African American couples. After naming the Obama’s, many people’s minds come up empty, and Bryant attributes this to the tendency of the media and literature to highlight single African American households. Few studies explore how African Americans’ marriage quality relates to interactions between the couple. Bryant wanted to explore factors like entering marriages with kids and poverty that are unique characteristics to African American relationships. Her project dives into the connection between African American marriages and health. 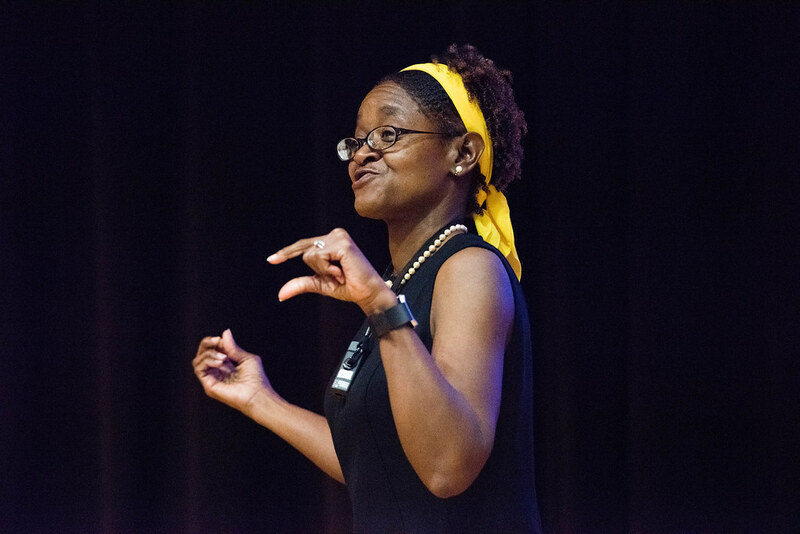 Over the years, she has collected data from hundreds of newlywed African American couples. The couples’ variance in other key demographics like age, education level and income, produced a result that realistically encompassed African American marriages. Weight was one aspect of Bryant’s research that impacted the health of a relationship. She found that heavier husbands were more likely to be depressed, but their weight did not affect their wives’ happiness. However, if a wife was heavier, the husband often showed more signs of depression. While this effect was interesting, Bryant said the most revealing part of this research was that if couples felt very close to their partner the link between depression and weight decreased. This behavioral closeness, in sum, improved their lives. The effect of stepfathers on relationships was another theme Bryant explored. Her research explored how stepfathers affected things like commitment, trust, marital happiness and love. Not surprisingly, she found stepfathers who had positive relationships with their stepchildren reported better marriage quality. Bryant’s work found that wives who experienced racial discrimination also reported less physical affection and hostile husbands. She said this association stumped her for a while. Now, she theorizes that husbands may be frustrated by their lack of ability to help their wife to deal with the discrimination, so they displace their anger towards their wives, such as perhaps raising their voice asking “Why didn’t you stand up for yourself?” The wife who could be sensitive to the experience could interpret this as a hostile behavior. Little is known about the effect that genes play in social relationships, Bryant explained, but that didn’t stop her from asking questions. For one study, male participants were asked to spit into a cup. Those samples were then paired with participants’ responses on hostility and warmth within their marriages along with depression and marriage satisfaction. It found men at high-risk for depression were more responsive to positive and negative effects. In essence, husbands with a higher risk for depression can actually report higher levels of marital satisfaction when they receive high levels of warmth than the husbands who are at low-risk for depression. While individuals can’t change their genetic makeup, Bryant said knowing if your spouse is susceptible to depression could help in your relationship. The goal of Bryant’s ongoing research is to help improve intervention techniques. She said not all interventions work for everyone; sometimes they need to be culture-specific so she hopes her findings can help improve the techniques used for African American couples.